Tanze, Tanze Berlin: Pile Of Junk. The recent news about in the moving – to – Berlin – plan there have been some progress that have made an overwhelmingly impact such as; what I own have been growing immensely lately! What I reckon is that I have to stop buy things that makes my tiny room filled with clutter. It seems to be loads because in the actual move there will not be any plethora of heavy carry-on. It will go against my nature as well when taking the whole lot because on my travels I have always been traveling light. Call this the backpacking move. So I have to stop being an obsessive shopper from now on to build up a Pile Of Junk. This was about the clothing situation – over to the vinyl situation it is rather on the contrary that will go away. It will break my heart to get rid of it – it may cause a dramatic death I’d say. It just will not go if the vinyl have to go. Music is my life, it is my therapy and my all. 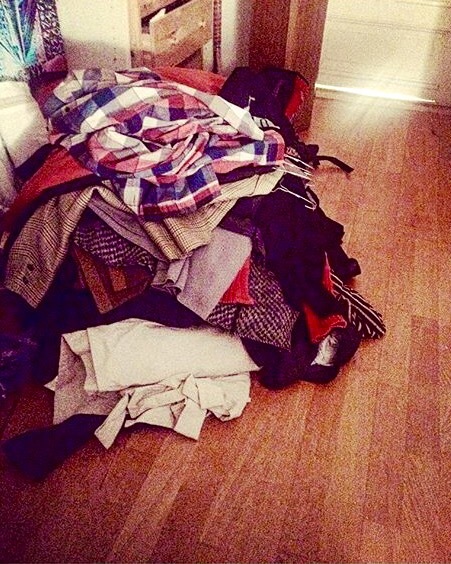 This is a heavy weight burden that I will not call a Pile Of Junk! Previous Previous post: #LavaOfTheWeek: the New Years. Next Next post: Highlight: Benoit & Sergio!